Delhi Congress chief Ajay Maken held the Bharatiya Janata Party and the Aam Aadmi Party directly responsible for the “illegal” sealing of non-polluting household industries. “People affected and fed up with the sealing drive are leaving Delhi. 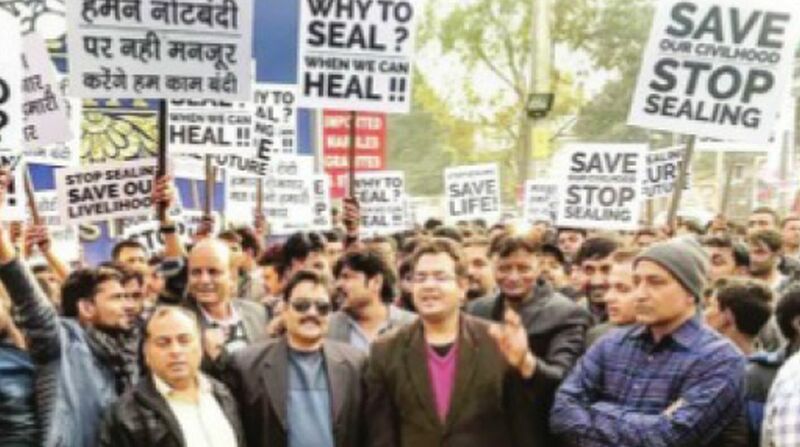 If the BJP and the AAP governments did not find a legal solution immediately to stop sealing, the condition of Delhi will deteriorate further,” Maken said this while addressing thousands of people here. The Congress took out the “Halla Bol” rally in the second phase of its “Nyay Yudh” at Rampura, Tri Nagar under the Chandni Chowk parliamentary constituency on Sunday. The rally was organised by ex-MLA Anil Bhardwaj. Senior Congress leaders, including Sajjan Kumar, Mukesh Sharma, Hari Shankar Gupta, Mukesh Goel, Harikishan Jindal, among others addressed the rally. The people were also carrying banners and placards with anti-government slogans. Despite heavy police presence, a large number of people from Tri Nagar and surrounding areas participated in the “Halla Bol” rally. A resolution was passed in the rally demanding that non-polluting household industries in Group A residential areas and Group A1 Village Abadi areas in Master Plan are kept out of the sealing drive. 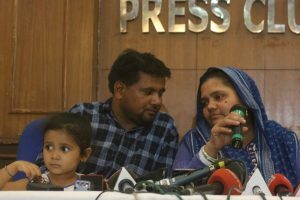 It also demanded that civic body and the Delhi government immediately withdraw the fine and penalty clause in the conversion charges and parking fees.